The number of people aged 85 and over needing 24 -hour care is set to double, says a new analyze, as an expert advises the care system is “at breaking point”. The study, published in the Lancet Public Health journal, analysed the projected health needs of the elderly between 2015 and 2035. It found that the number of 65 -year-olds and over requiring round-the-clock care is also set to rise by a third. 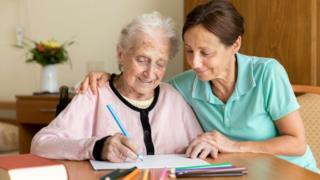 The government says adult social care reforms will be established within the autumn.